This is a product that I saw lots and lots of people raving about and I gave in, I have to admit. I'd heard lots of bloggers talking about the amazing results from using products by this brand and I had to try it out for myself and I was so amazed. I have trouble with dry patches especially in my t-zone and this has worked wonders. If you're looking for a new product to give your face a bit of moisture then this could be the product for you. I have tried so many products that are very similar to this but this has honestly given me the best results and after only using for a few times, it is already one of my holy grails and I've fallen in love. I could rave about this second product all day bloody long! This product has been such a life saver for me and I have become slightly addicted to using it for pretty much everything as it is a all-round multi purpose product and does so much for the price you pay for it. I have used this on chapped lips, dry skin and it works wonders as a hand cream. Like I said previously, for the price you pay for this it is amazing and does so much. The Body Shop has became a brand that I immediately become obsessed with the second I used one of their little tiny hand creams and I've never looked back since. I brought their Mattifying Lotion along with the Skin Clearing Foaming Cleanser and their Skin Clearing Toner and I remember it came in a little cute set and I instantly added it into my skincare routine and that's all I used for a good few months, but with any skincare I think it's really important to switch it up every now and then I believe your skin gets used to products and they become less effective but I recommend The Body Shop as a brand and I've been amazed by every product I've used by them. It's back again (LOL!) 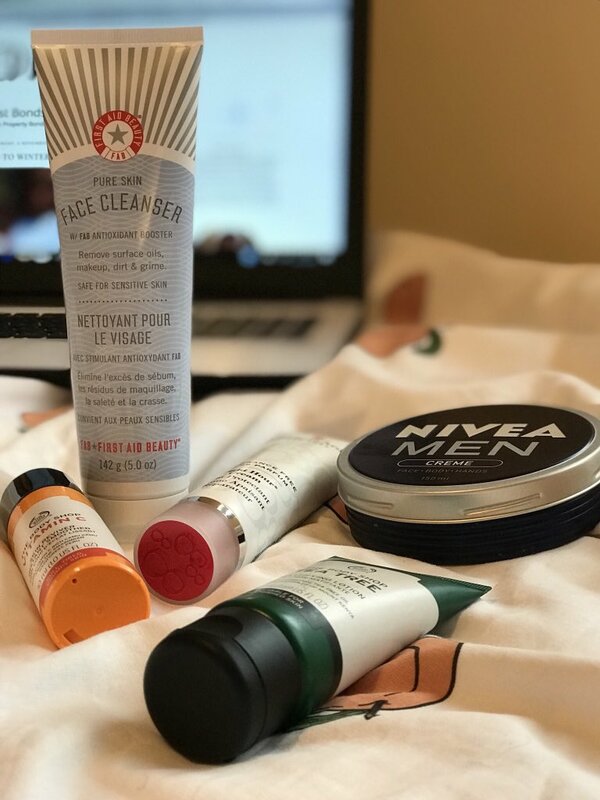 I did a a whole post on the Nivea Men Creme titled 'The Best Mens Moisturiser' and I can officially say that it still lives up to that in my mind. I have never used a product like this and I can not see it failing me anytime soon. 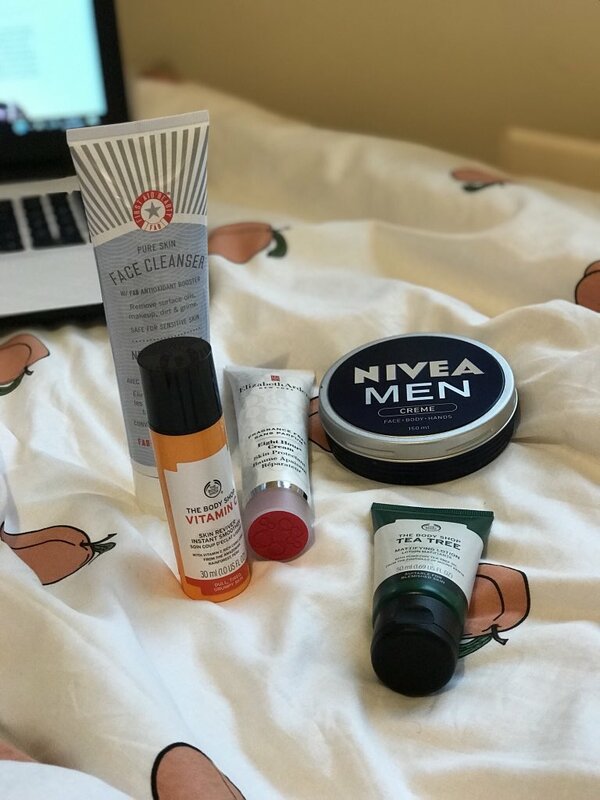 This product definitely had to be in this post because of how much it's done for my skin from clearing it up to making it feeling super soft and moisturised. If you want to know in depth of why I love this product so much then check out my post dedicated to this beautiful creation which is linked here. We're back again talking about The Body Shop but I don't think I need to go in to how much I love them again. I use this product every night before bed, mainly around my eyes to reduce dark circles and can I get an amen? It has just done that. About 6 months ago, I went through a phase of feeling really drained constantly and it showed and I hated it but since using this product they have improved so much to barely nothing and I'm so impressed with it. If you're someone like me that likes fizzy drinks way too much and doesn't drink enough water then you need to try this.